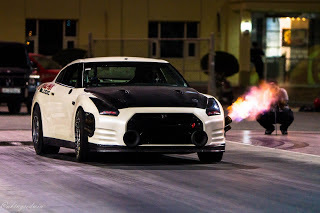 Home > Alpha Logic Performance > Bahrain Drag Racing Championship > News > The first 6 seconds GT-R in the Middle East - AlphaLogic Performance Panda GT-R! The first 6 seconds GT-R in the Middle East - AlphaLogic Performance Panda GT-R! Panda GT-R by the Alpha Logic Performance, became the first GT-R in the middle east to dive into the 6 seconds bracket at a drag event in Bahrain International Circuit.With 2820hp and more boosts still available in it, this GTR is likely to go faster! Towards the beginning of summer last year, when Gidi and other GTR teams were trying to break into the 6s brackets. Rob was part of this underground world record fight. 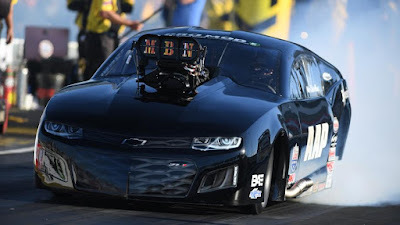 His run at Qatar Racing Club which we well documented ended at a close 7.09@206mph at 1/4 Mile and another crashing 399km/h in 800m at Qatar Mile Event! His Qatar Mile record then,made the half mile standing record by Underground Lambo a child's play. Fast forward to today at the formula circuit track in Bahrain, the Alphalogic Performance ran their GTR for the first time into the 6 seconds brackets at the Bahrain International Circuit in Manama, We haven't gotten the video yet and the time slips.But according to a post by the team competing at Bahrain Circuit, the Panda GTR ran a 6.99@346.15(214.994mph). Panda 2.0 Last Season the Alpha Logic Panda GT-R became the 2nd Quickest GT-R in the World, and broke the Record for Fastest 1/2mile car in the World .